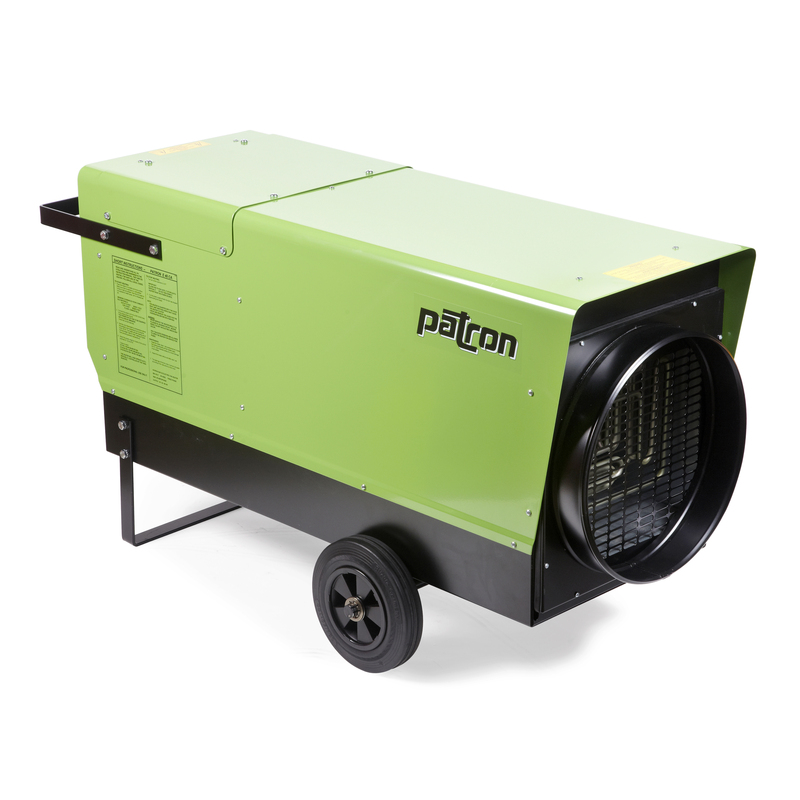 The Patron 40ECA is an electric powerhouse in any demanding application. Suitable for a magnitude of situations, it will endure the harshest of applications, all while pumping out over 136,000 btu/hr. It features transport wheels and a rear lifting handle, making it extremely portable, as well as a 14″ duct adapter for areas and sites in need of specific heat distribution. The 40ECA runs off 3-phase 575V power and pulls 41 amps. It produces hot, clean air and blows it over a very large area with a powerful 1765 cfm fan.